Gov. Mike Parson selected House Budget Chairman Scott Fitzpatrick to be state treasurer. The 31-year-old Barry County Republican will succeed Eric Schmitt, who Parson selected to be Attorney General. It’s the third statewide vacancy that Parson has filled since taking office on June 1. Fitzpatrick has been the leader of the powerful Budget Committee since 2015, playing a key role in shaping how the state spends money every year. He started a dock-repair business while he was in high school, a company that grew dramatically while he was in college. After state Rep. David Sater termed out of the Missouri House, Fitzpatrick prevailed in a contested Republican primary for his seat, the real contest in the heavily Republican district. Fitzpatrick believes this office combines his interest in finance with public service. 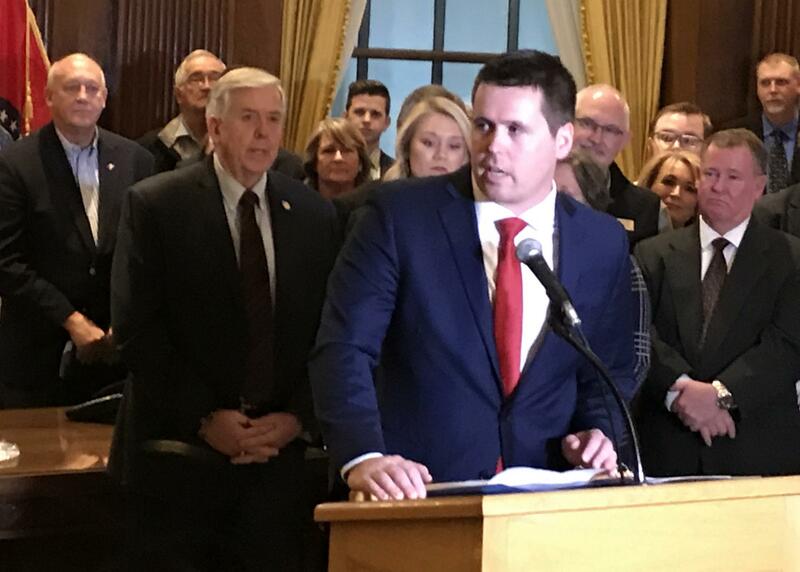 “Anyone who knows me knows that I am a passionate advocate for government transparency and reforming government in ways that improve the lives of the people of the state,” Fitzpatrick said during his introductory news conference at the capitol Wednesday. “When I was in college, I would spend free time looking at the financial statements for publicly traded companies. It was just something that really interested me. And so, having the opportunity to serve as State Treasurer, it’s not just another political office for me. It’s something I think I’m really going to look forward to doing and I will enjoy,” Fitzpatrick said. Indeed, Parson clashed early in his term with Fitzpatrick over some budgetary vetoes. And Fitzpatrick engineered a freeze of a low-income-housing tax-credit program in the House Budget Committee, an incentive that Parson has traditionally supported. After appointing Schmitt as attorney general and Mike Kehoe as lieutenant governor, there had been some speculation that Parson would choose a woman as treasurer. And some African-American officials wanted Parson to pick state Rep. Shamed Dogan, the Missouri House’s lone black Republican. After roughly six months as governor, Mike Parson is not only settling into the job — he’s charting out an ambitious policy agenda. In a wide-ranging interview with St. Louis Public Radio, Parson laid out his priorities. Much of his agenda centers around developing jobs and finding more money for roads and bridges. But it also includes overhauling state programs that already require a lot of money — or have elicited controversy in the past. One key responsibility of being Missouri governor is getting to fill vacancies in state and local governments — including times when there’s an opening at a coveted statewide office. So after appointing a lieutenant governor and attorney general, Gov. 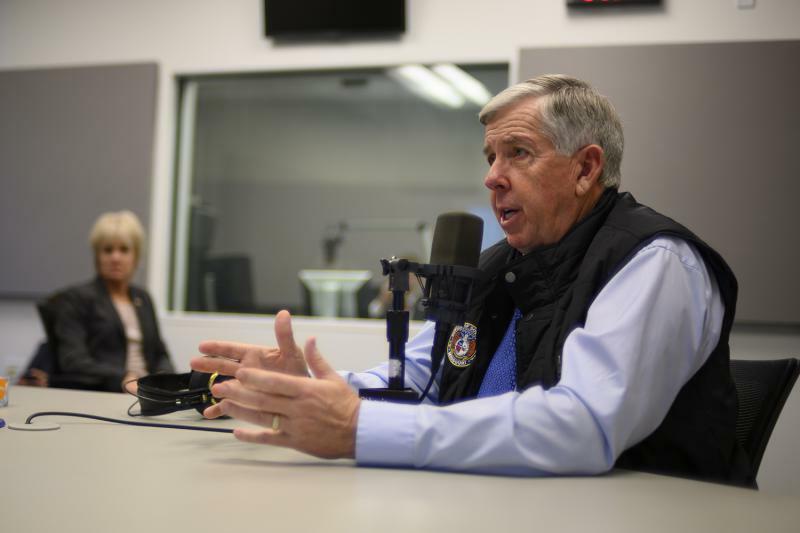 Mike Parson will get yet another chance to fill a statewide vacancy. That’s because he picked state Treasurer Eric Schmitt to replace soon-to-be former Attorney General Josh Hawley. Gov. Mike Parson appointed state Treasurer Eric Schmitt as Missouri’s next attorney general Tuesday morning, filling the office that will be vacated by Josh Hawley, who was elected to the U.S. Senate last week.